Last week we got a VK-RZ/A1H board, including the display and started testing it. We have already used previous revisions so our idea was to check if there are new features available and if all other sample applications that were tested before work fine. For some of the tests we got in need to either modify or extend existing Linux binaries and since there was no out-of-the-box build tutorial on Vekatech site, we’ve decided to do the building myself. In this post, we shall describe the necessary steps to get an usable Linux binaries and later on to extend them. So first things first – we needed a point to start from. 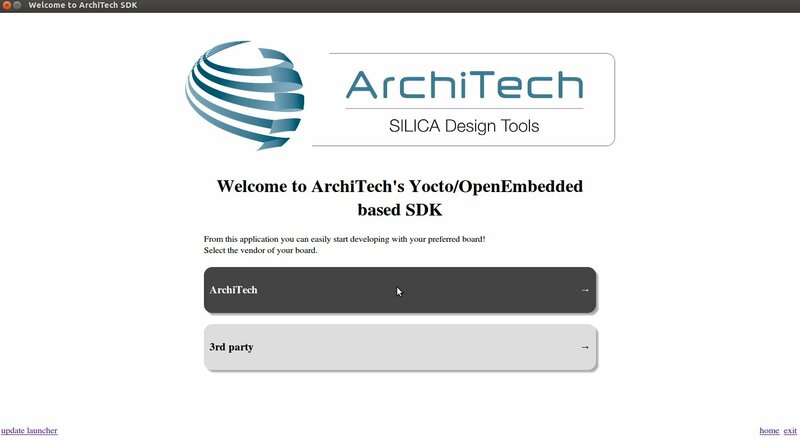 Vekatech offer a build of Yocto Linux so our fist shot was to look into Yocto repository and check if there are ready recipes that we can use. 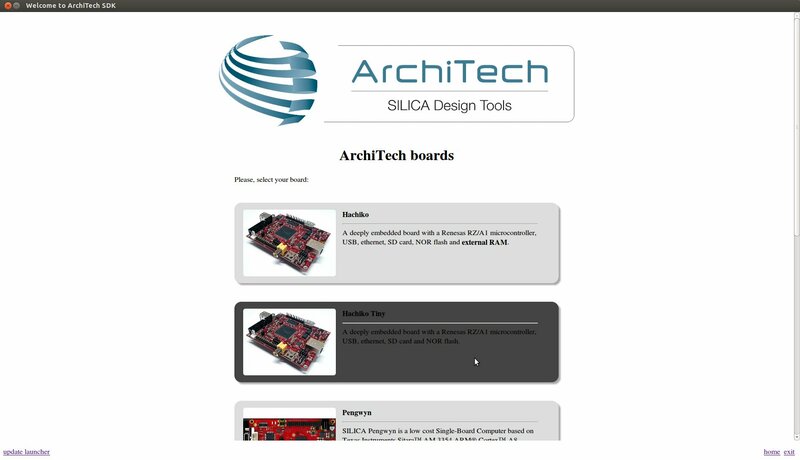 Fortunately there was a better starting point – Renesas/ArchiTech Hachiko board. 1. So our first step was to download and setup a virtual machine that will serve as a build system and can be easily copied around. Of course if you have a Linux host, you can continue without creating a VM. 1.1. Download and configure the build virtual machine. Hachiko/Hachiko64 build VM images can be downloaded from here. It is a huge file and it takes a while till its downloaded. A step-by-step guide on how to configure the virtual machine and execute it available here. 2. Then we need to build Yocto for Hachiko in order to make sure that everything has been properly configured and works as expected. Those brave (or should we say confident instead) enough can skip this step and go directly to step 3. However it is recommended to verify that everything works fine, before we start making any changes. In case it is necessary to use root privileges, use root password architech. 2.1. Start the VM and once its up and running double click on the icon. 2.2. 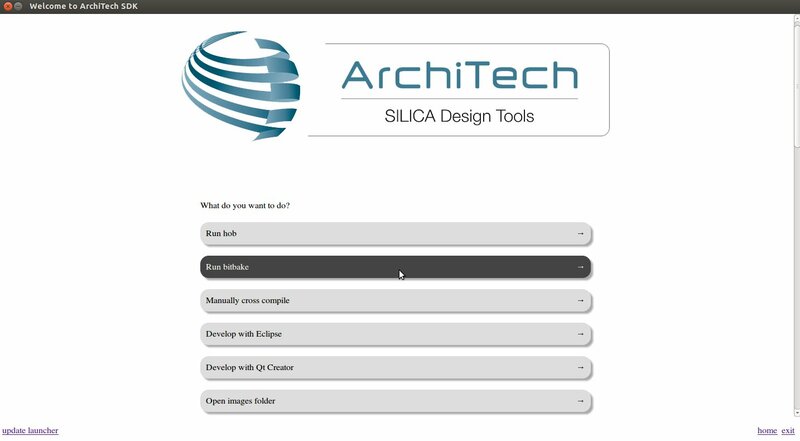 Choose “ArchiTech” from the available options. 2.3. Select “Hachiko” from the available options. 2.4. Choose “Run bitbake” from the command options menu. At the end of the build, available images should be in: /home/architech/architech_sdk/architech/hachiko-tiny/yocto/build/tmp/deploy/images/hachiko. 3. Modify and patch Yocto to be able to fully utilize Vekatech VK-RZ/A1H features. On VK-RZ/A1H UART3 needs to have P8_9 as RxD3 and P8_8 as TxD3 configured. 3.1. Modify the patches that already exist for Hachiko in order to match the changes listed above. Once we patch them with the required changes for the board (which depend on the board) we can repeat the “bitbake tiny-image” command and it will (much faster this time) regenerated the kernel image.